If you knew that a company culture permitted or even promoted cannabis use, would you choose to work there? 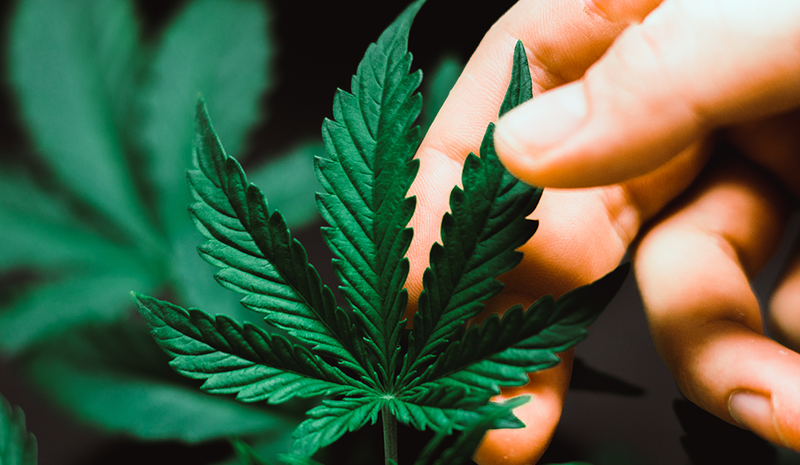 This may not be the first question you ask when assessing a potential employer, but as cannabis use is gradually legalized at the state level, the impact on the workplace cannot be ignored. Since long before it was legal anywhere, people have reported that working while high had a calming effect, making them less agitated by day-to-day stressors, more creative, and less apprehensive when giving presentations. For an equally long time, however, others have reported being stoned at work reduced the quality and quantity of their work, making it hard to live up to their career potential. Even people who do not indulge in cannabis use themselves have many anecdotal stories of support or condemnation. Unlike alcohol and many other drugs, cannabis has documented medicinal tendencies that make its use more complicated to regulate. The greatest challenge of all, however, might just be statistically insufficient evidence to help form corporate policy and use. Corporate America has a new recruiting opportunity. It can choose to lead one of the greatest social experiments of the 21st century, or it can adopt a wait-and-see attitude while its chance to impact cannabis-use policies goes up in smoke. What is at stake is not just evidenced-based cannabis-use policies but also how the cannabis industry will be regulated once federal laws are changed, opening the flood gates of investment and ownership by the largest corporate names. To help start the conversation, I invited a diverse group of cannabis users to complete a questionnaire about their cannabis use at work and its impact on their work and careers. Respecting that currently in the United States it is federally illegal to produce, buy, sell, or use cannabis in any form, what follows is an amalgamation of the responses. The respondents included men and women who are comedians and attorneys, medical professionals and cryptocurrency pioneers, ranging in age from 25 to late 70s. All have used cannabis a minimum of five years. Use frequency ranged from daily to recreational, meaning only when off work and on personal time. Prominent among the respondents are the attorney who crafted the original drug policy for the ski industry in the 1980s and his wife. They stand out in age, experience, educational background, achievement, and openness. They differ on their opinion of use at work. The ski industry attorney, who indulges in cannabis use recreationally, was adamant it had no place at work, especially in industries where safety was a concern. He could think of no occasion when use would enhance workplace results. Equally adamant was the attorney’s spouse, who manages a small hotel. Without being ever so lightly “lit,” she said, cleaning rooms when the housekeeping staff did not show up was just not possible! With equal parts humor and sincerity, she explained how light use of cannabis helped smooth the edges of monotonous daily office tasks and customer service issues. Both the attorney and his wife support the use of cannabis for medicinal purposes, yet they caution that safety issues must take precedence. The issue of safety and responsibility for quality of work output seemed to hold across all respondents. From the crypto startup with 45 employees that openly promoted a culture of cannabis use to the comedian who would not work without it, there was clear differentiation between reaping the benefits of cannabis to enhance work experience and product and abuse or “stoner” behavior. The former was welcomed, the later was uniformly not tolerated. The younger the respondent, the less likely they were to know if their company had a drug and alcohol policy and what the policy said if it existed. The mere combining of cannabis with other substances such as alcohol seemed to cause the most discomfort. No respondent felt alcohol had a place at work. Businesses have an opportunity to engage in a sensitive conversation with integrity and build trust through conversation. Cannabis is being used in the workplace — it’s that simple. Let’s use the workplace to gather and analyze real data on the impact of cannabis on productivity. It would be advised to develop policies in full respect of and cooperation with local and federal laws that ensure high-quality performance and an atmosphere of honesty. Andrea Goeglein is a certified happiness coach, a mentor coach, and a positive psychology coach. Learn more at https://servingsuccess.com/. Often called a "success sherpa," Andrea prides herself on carrying the information that nourishes her clients careers and personal success. She is the creator of the trademarked "Don't Die" book series, which is licensed to the renowned publisher Hay House, and she served as chairperson of speaker selection for TEDxUNLV. She's also a certified happiness coach, a mentor coach, and a positive psychology coach.